Texas Instruments has announced new DLP Pico controllers that deliver advanced light control capabilities in smaller form factors for mass-market 3D scanners and 3D printers. DLPC347x controllers offer the micron-to-sub-millimetre resolution typically found in high-performance, industrial-grade applications in a smaller form for desktop 3D printers and portable 3D scanners. Developers can pair the new DLPC3470, DLPC3478 or DLPC3479 controller with one of four existing DLP Pico digital micromirror devices (DMDs) to design a variety of things. The high resolution and fast switching speed of the DMDs and new controllers enable 3D printing speeds five times faster than existing technologies. With precision pattern control in a smaller form factor, developers can capture the fine details of an object with micron-level accuracy, which benefits applications like dental scanning, 3D modelling and 3D vision for robotics. Pico display expertise now includes high-speed, high-resolution precision light control previously only found in the industrial-grade DLP4500 to DLP9000 chipsets. The combination of these capabilities allows optical module manufacturers and developers to create smaller 3D printing and 3D scanning designs with higher precision. By pairing one of the new controllers with a DLP2010 (480p), DLP2010NIR (480p), DLP3010 (720p) or DLP4710 (1080p) DMD, which range in diagonal size from 0.2 to 0.47 inches, developers can create customised solutions by combining the controllers and DMDs that best fit their applications. 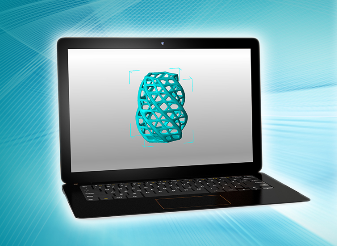 This capability allows for easy integration into a variety of low-power 3D scanners and 3D printers. Micron-level accuracy captures the fine details of a 3D-printed object and enables smooth, high-quality 3D-printed objects with pattern and pixel control across 405nm ultraviolet (UV), visible and near-infrared (NIR) light up to 2,500nm.